We have a number of in-person and online training resources designed specifically for APN Partners so you can more effectively help customers leverage the Amazon Web Services (AWS) Cloud. We regularly update and release new training courses so you can be sure you are learning the latest about AWS. We’ve released a major update to our Solutions Training for Partners: Windows (Business) course. This course is available both in-person and online and teaches AWS Business Professional partners about the specific benefits of moving Windows workloads onto AWS. We recommend this course for business professionals at APN consulting partner companies who have knowledge of the general benefits of cloud and AWS. Amazon Connect is a self-service, cloud-based contact center service that makes it easy for any business to deliver better customer service at lower cost. We have online training about Amazon Connect for both business and technical professionals. Amazon Connect (Business): This course introduces the business benefits of setting up a cloud-based contact center using Amazon Connect. You will learn how to discuss the value proposition of Amazon Connect with your customers and explain the pricing model. Amazon Connect (Technical): This course teaches you how to quickly set up a cloud-based contact center using Amazon Connect. You will learn the technical details of provisioning, configuring, and managing Amazon Connect. This course also highlights how you can integrate Amazon Connect with other AWS services like AWS Lambda, Amazon Kinesis, and Amazon Redshift. The Well-Architected Framework enables you to make informed decisions about your architectures in a cloud-native way and understand the impact of design decisions that are made. 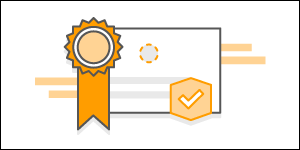 This AWS Solutions Training for Partners: Best Practices – Well-Architected course is designed to provide a deep dive into the AWS Well-Architected Framework and its 5 pillars. We recommend this course for Technical professionals at APN Consulting Partner Organizations. You can explore more training resources for APN Partners, and you can search for classes near you by logging into the AWS Training and Certification Portal with your APN Portal credentials. APN Partners have access to free partner-specific training and are eligible for a 20 percent discount on customer-facing public AWS Training delivered by AWS. You can also request a private onsite training for your team by contacting us.